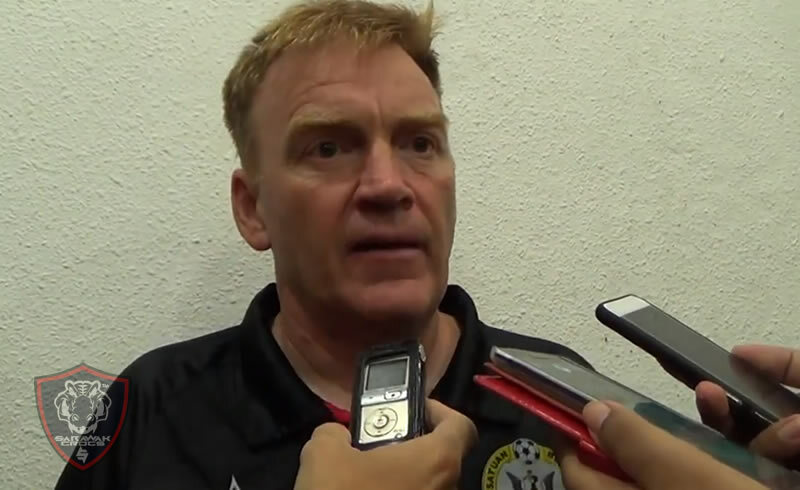 Home FOOTBALL NEWS Ian Gillan to take over Sarawak FA head coach? Ian Gillan to take over Sarawak FA head coach? While Sarawak FA prepares for a couple of friendly matches in West Malaysia to fill the void of competitive matches during the short break, questions linger on who would helm the coveted job as the new Sarawak FA head coach. It is very unlikely interim coach Denny Daa’il would be retained shall results from the friendly matches against Melaka United and Kuala Lumpur come up negatively, hence making both matches ‘sort of his examination’ to become Sarawak’s interim coach. If both matches yield poor results, the Football Association of Sarawak (FAS) may opt to bring in former Sarawak FA coach Ian Gillan who is currently still contracted to the team until November 2019. Based on our knowledge, Ian is currently in Kuching and he also attended a Sarawak training session with Malaysia Head Coach Tan Cheng Ho over the weekend. His presence at the training session may be an indication that the experienced head coach may just be appointed to run the Crocs until the end of the season. Either way, with Sarawak FA said to be ‘cashed strapped’, FAS is out of options to appoint other more popular coaches and may just resort to using who they have currently.